Represented Extell Development Company in the $360 million purchase, flip and financing of multiple properties from the Duell family's real estate portfolio. 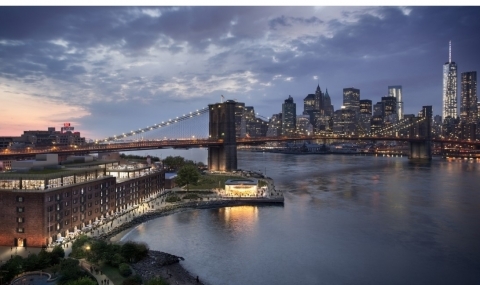 Represented HK Organization, in a joint venture with Midtown Equities and Rockwood Capital to redevelop Brooklyn’s Empire Stores, a complex of seven historic warehouses. The property was transformed into a mixed-use creative hub with 100,000 square-feet of retail, restaurant and event space in addition to 300,000 square-feet of office space. Represented Emmes Asset Management Company in connection with a joint venture with the investment arm of a major university system and the $100 million acquisition of a prominent Class A office building in Irvine, California. The transaction also included a multi-million dollar investment by a Japanese corporation investing in U.S. property for the first time. Represented a real estate advisory firm regarding company structures in several real estate investments. Represented a New York based venture capital firm in its angel investments, including Pricing Engine, a provider of business intelligence tools for digital marketers, the RealReal, an online membership-based marketplace for previously-owned jewelry, accessories and clothing, Tailored, Inc., an online bridal and wedding planning service, and Apptopia, which runs an online marketplace designed to help broker the sale of mobile apps. Advised the broker dealer and investment advisor units of a multi-service financial institution on corporate and regulatory matters. Represented a publicly held biopharmaceutical company in its securities filings, reporting requirements and related corporate advice. Represented a major regional sports network in a $200 million syndicated term loan facility and related joint venture matters with its two major cable television joint venture partners. Represented Emmes Capital LLC in negotiation of an LLC agreement for the purchase of real estate at 61 Broadway. Represented Concord Associates, L.P. in its announced merger agreement and subsequent termination with Empire Resorts, Inc. involving the issuance of approximately 40% of the outstanding common stock of NASDAQ-listed Empire Resorts, Inc., in exchange for real property on the site of the Grossinger's Hotel and the Concord Hotel in the Catskill mountain region of New York.